Can’t Vote Yet? What Now? 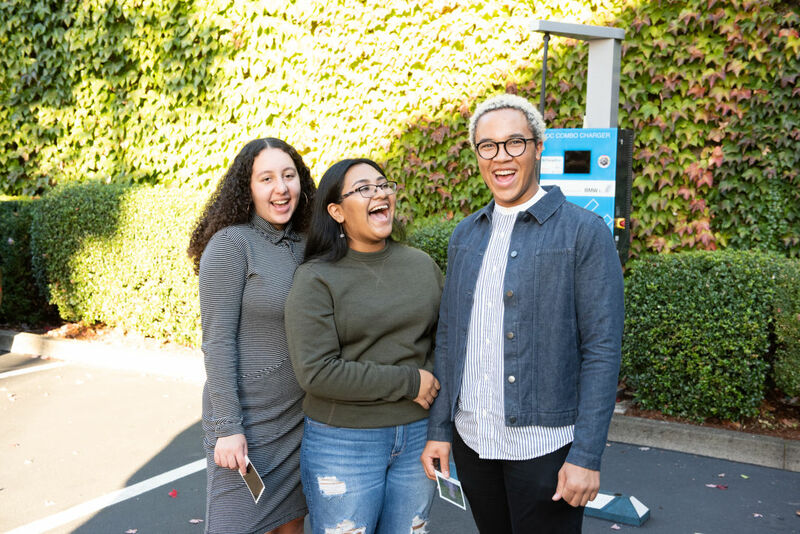 Youth Activists Participate in Democracy by Organizing This Year’s What Now PDX event. From left to right, Taji Chesimet, Gabrielle Cosey and Karina Alcantara are wearing Fall 18 Nau style, now available at the Nau flagship store in the Pearl and at nau.com. For Nau, Sustainability is non-negotiable. It means leaving a place better than we found it. No compromises. So it is easy for us to recognize that same spirit in our hometown’s youth activists and entrepreneurs. Like Nau, they’re not sitting back to wait for the vote, they’re getting things done. And they’re just getting started. We’d like you to meet them. 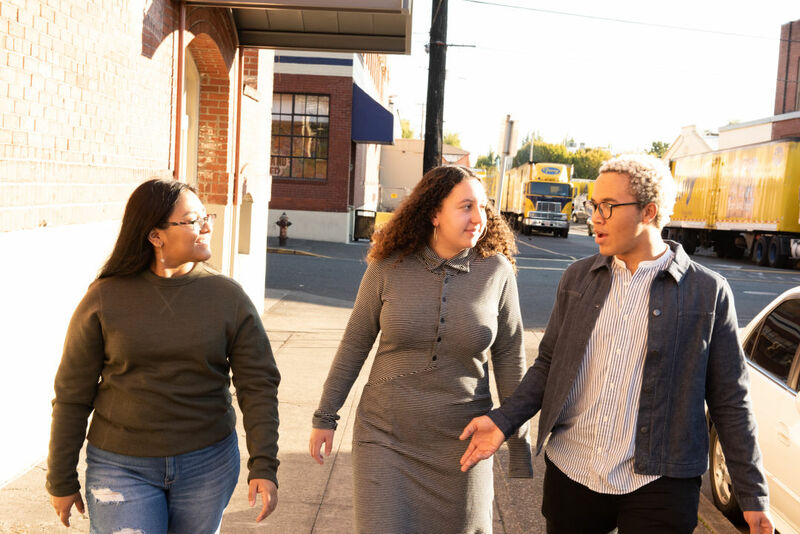 If we assume that what lies alone at the heart of our democracy is the vote, the most direct and obvious way in which we can participate in our democracy, then we’re dismissing the passion, tenacity, and tireless motivation for change found in some of our local activists who are too young to vote. 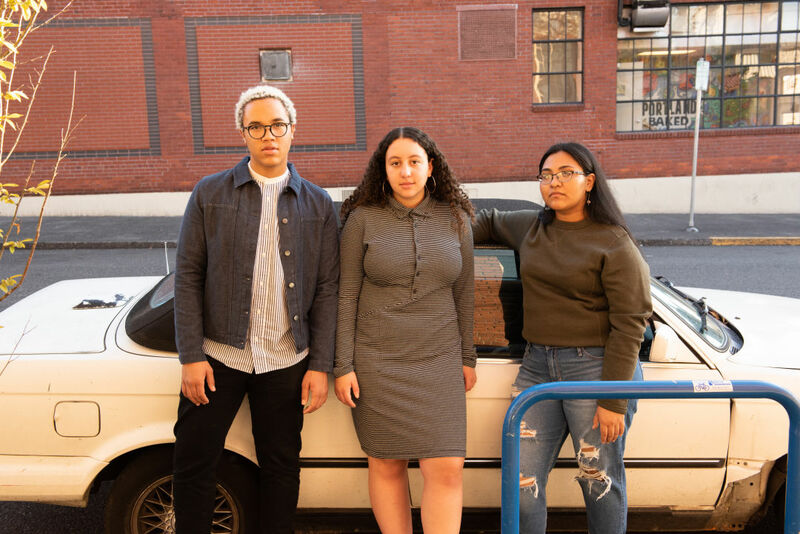 Gabrielle Cosey, Karina Alcantara, and Taji Chesimet are three of the dozens of Portland’s youth activists currently spearheading this year’s What Now? event at on Dec. 1. They are proving to their own local communities that voting is only one little part of our civic duties. They’re also proving that being ineligible to vote is no excuse for not making an attempt at affecting policy that improves the lives of the people around us. The trio spent an afternoon with this trio at Nau HQ sharing their mission and vision for their world. While at The Center, the coalition-led organization putting on this year’s What Now?, Gabrielle, Taji, and Karina each attend and lead a range of social justice workshops in addition to planning the events around this year’s What Now?. The all day event will consist of youth-led workshops during the day, and several youth activist speakers on stage in the evening. There will also be many other groups, causes, and non-profit organizations tabling throughout the day. If you can vote, vote. But don’t stop there. Get outside with us and let’s change the world together. Nau is a Portland born clothing brand with a bold vision and a rebellious spirit. We can only save ourselves. Learn more about how you can be a part of it at Nau.com/outsiders. See Cosey, Alcantara and Chesimet present their case at What Now on Dec 1.